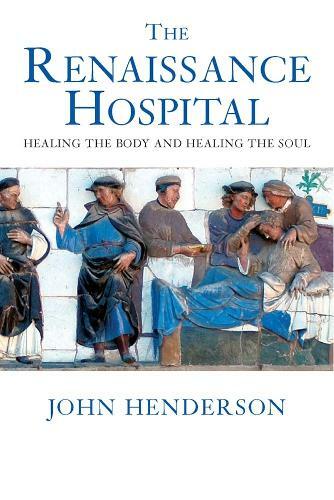 In this fascinating and richly illustrated book, John Henderson takes us into the Renaissance hospitals of Florence, describing vividly the enormous barn-like wards and exploring the lives of those who received and administered treatment. Drawing on an exceptional range of visual and documentary evidence, Henderson overturns the popular view of the pre-industrial hospital as a hellish destination for the dying poor. On the contrary, hospitals of the era developed specialised, Renaissance medicine; became important centres of artistic patronage; and served a patient population of up to 6,500 a year, only ten percent of whom died. The book discusses the role of Renaissance hospitals in helping to preserve the health of the city; recreates their beautiful architecture and interior design; examines the role of religious rituals for the cure of the souls of the patients; reconstructs the lives of the large female nursing staff; and analyses the treatment provided by doctors and nurses. The architectural, administrative and medical models developed by Tuscan hospitals formed the basis for foundations as far apart as England, Spain and the Holy Roman Empire, and indeed continue to influence healthcare practices today. John Henderson is Wellcome Trust Reader in Renaissance Medicine, School of History, Classics and Archaeology at Birkbeck College, University of London, and Fellow of Wolfson College, Cambridge. Among his previous books are 'Piety and Charity in Late Medieval Florence' and 'The Great Pox: The French Disease in Renaissance Europe'.